When images are imported into Pixellu SmartAlbums 2, small copies of these images are made and stored in the "Image Cache". This is done to improve the performance of SmartAlbums and to allow you to build an album even when the full size original files are offline. After a while, the size of the Image Cache can grow. Whenever the size of the Image Cache folder exceeds 10% of your disk space, you will receive a notification alerting you that you may want to clear your cache to free up disk space. 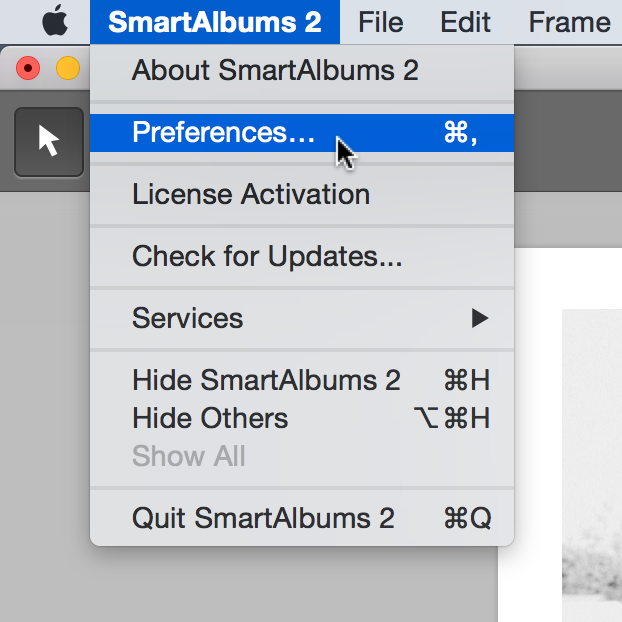 Click on SmartAlbums 2 in the top left corner of your screen and select Preferences. In the General tab, choose Clear in the middle of your screen. 1. Click on Tools > Preferences. 2. In the General tab, choose Clear in the middle of your screen. Note: Opening your saved projects for the first time after clearing cache may take longer than usual, as SmartAlbums will need to rebuild image cache for those projects.